A. 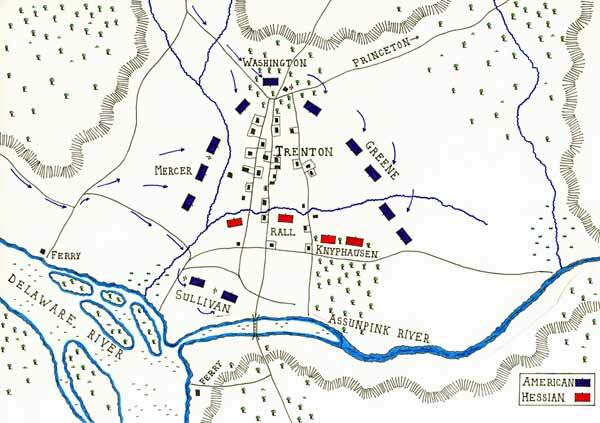 Following two years of fighting the American Forces Had yet to win a battle in the fight for independence. B. Morale of the troops were low and desertion rates were high. 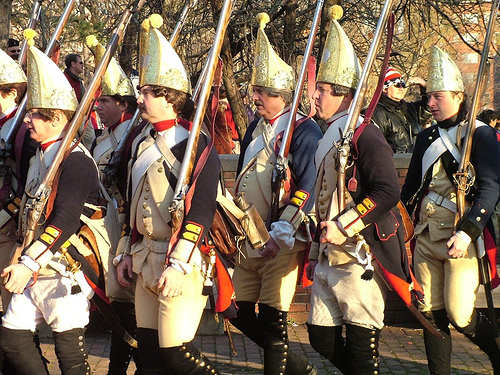 C. Hessian troops were German mercinaries hired by the British. D. Hessian troops occupied the front lines of the British Army. 1. 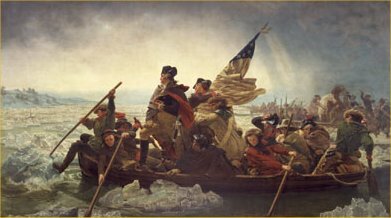 2400 American Forces under command of Gen. G. Washington ferried across the icy Delaware River under cover of darkness. 2. 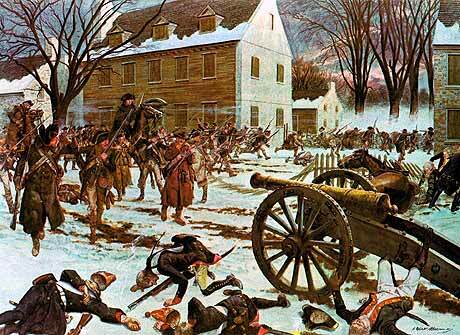 Surrounded 1200 Hessians Soldiers that had been up late celebrating Christmas the night before. 3. Achieved Total surprise, all Hessians were captured including supplies, thier leader Johann Rall is killed, only four Americans were wounded. 4. The American victory was the first of the war, and helped to restore American morale.